The date for the Senior Class Meeting & Luncheon has changed to Tuesday, May 7th. It will take place in the Wally Keller Gymnasium from 9:00 am to 1:55 pm. Attendance is mandatory. Get ready for Prom on May 4th! Prom ticket sales will take place during all lunches March 25th through April 26th. Students must bring their student ID to purchase their ticket. Tickets are $65 for CHS students and $75 for guests. Guest forms will be available in H105 with Mrs. Kennedy. Tickets will also be available for purchase at the senior lock-in and senior field day. Students in the National Honor Society provide free tutoring for any subject every Wednesday from 2-3pm in Room C219. See Mrs. Hughes if you have any questions. 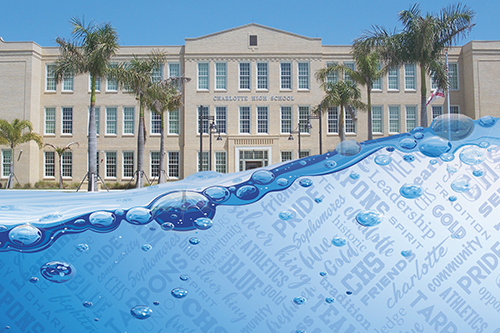 The safety and well-being of our students, parents, staff and visitors will always be the top priority of Charlotte County Public Schools. In our effort to maintain a high level of protection, CCPS will be upgrading security at our sporting events. Students and visitors will no longer be able to bring certain items into sporting venues. Visit the SAFETY AT ATHLETIC EVENTS page on the CCPS website for information on prohibited items and increased security measures. Our students' safety is our top priority. Please read the Joint Safety Message from Superintendent Dionisio, School Board Chair Vincent, Sheriff Prummell, and Police Chief Davis. If you have an account and you forgot your password, please click on Parents: Forgot Password? link.